U.S. lawmakers on Sunday called on President Donald Trump to turn over any tapes of conversations with fired FBI chief James Comey, potentially setting up a showdown with the White House as Democrats considered a boycott of the vote on Comey's replacement. In a highly unusual move, Trump last week appeared to suggest on Twitter that he might have tapes of conversations with Comey and warned the former director of the Federal Bureau of Investigation against talking to the media. Trump and a White House spokesman declined to confirm or deny whether such tapes exist. Republican Senator Lindsey Graham of South Carolina said the White House must "clear the air" about whether there are any taped conversations. "You can't be cute about tapes. If there are any tapes of this conversation, they need to be turned over," Graham told NBC's "Meet the Press" program. Trump sparked a political firestorm when he abruptly fired Comey last week. The FBI has been investigating alleged Russian meddling in the U.S. election and possible ties between Moscow and the Trump campaign. Democrats have accused Trump of attempting to thwart the FBI's probe and have called for some type of independent inquiry into the matter. Trump has said he removed Comey because he was not doing a good job and that Comey had lost the support of FBI employees. Trump tweeted on Friday that "James Comey better hope that there are no 'tapes' of our conversations before he starts leaking to the press!" If there are recordings, Republican Senator Mike Lee of Utah told the "Fox News Sunday" program it was "inevitable" that they would be subpoenaed and the White House would have to release them. Lee, who was on Trump's list of potential replacements for Supreme Court Justice Antonin Scalia, also said recording conversations in the White House is "not necessarily the best idea." Trump's threat about tapes has intensified calls from Democrats for an independent probe of alleged Russian meddling in the 2016 U.S. election. Senate Democratic Leader Chuck Schumer said Trump must immediately provide Congress with any tapes and warned that destroying existing tapes would violate the law. 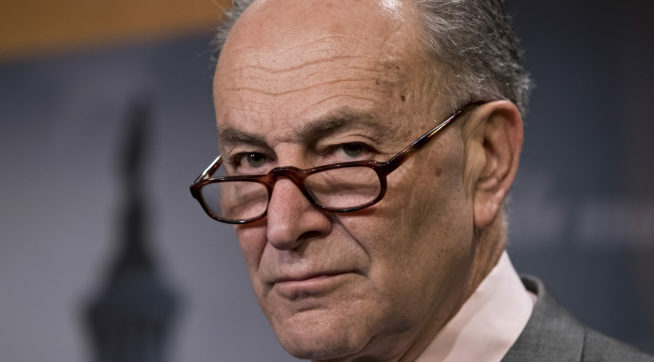 Schumer also said Senate Democrats are weighing whether to refuse to vote on a new FBI director until a special prosecutor is named to investigate Trump's potential ties to Russia. "To have that special prosecutor, people would breathe a sigh of relief because then there would be a real independent person overlooking the FBI director," Schumer told CNN's "State of the Union" program. Trump, who has sought better relations with Russia, has continued to question whether it was behind the hacking of email accounts belonging to Democrats involved in Hillary Clinton's 2016 presidential campaign. But Secretary of State Rex Tillerson told NBC's "Meet the Press" program there is no question that "the Russians were playing around in our electoral processes." He defended Trump's decision to meet with Russian Foreign Minister Sergei Lavrov in the Oval Office last week. "It's in the interest of the American people, it's in the interest of Russia and the rest of the world that we do something to see if we cannot improve the relationship between the two greatest nuclear powers in the world," Tillerson said. Meanwhile, a NBC/Wall Street Journal poll released on Sunday found that 29 percent of Americans approve of Trump's decision to fire Comey, while 38 percent disapprove. If a Senate vote on a new FBI director breaks down along party lines, Democrats would not have the votes to block a nominee because Republicans hold a majority in the chamber. "The key is getting some of our Republican colleagues to join us," Schumer said. Republican leaders in the Senate have rebuffed calls for a special prosecutor, saying it would interfere with ongoing congressional probes. Graham said there may come a time when a special prosecutor is needed but not now. "Right now, it is a counterintelligence investigation, not a criminal investigation. So you don't need a special prosecutor," Graham said on "Meet the Press."